We have all learned about the Holocaust in school, some of us twice or even three times. I personally had learned about it in the 6th grade and then again in high school. I have read the book Anne Frank and seen the movie Schindler’s List. I have been to the Holocaust Museum in Orlando, in Washington DC and also in Israel. But, none of it gave me the knowledge and understanding as visiting Auschwitz- Birkenau. First, Auschwitz is not next door to any major city, so anyone coming to see it really has to find it among the small towns and fog filled farms. Yet, there were tons of visitors, of all languages and I am sure all faiths. This to me was not something I expected. I imagine that there were just as many people visiting Auschwitz to learn about its history as those who visit the Orlando Science Center each day. 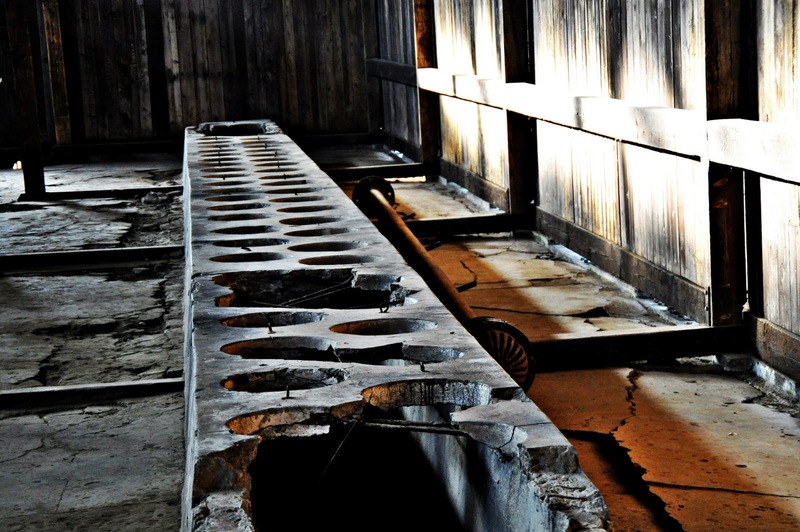 While visiting Auschwitz, I didn’t feel as somber, emotional or depressed as I thought I would. Adam and I both thought that it was more of a walking museum/memorial for us to learn the truths as to what happened. What we learned was only parts of what you see in movies. Because of it being so recent, survivors have shared their stories and their experiences within the walls of all of the concentration camps. Their art has portrayed what they went through daily and with that knowledge was how our tour was created. We all wore headsets as our tour guide walked in front explaining everything, allowing us to wonder and still hear her. Before the war began, Auschwitz was actually a Polish Military Base consisting of 20 buildings and during its occupation by the Germans, 8 more buildings were built by prisoners. An annex, Birkenau was built 3K away which was 20 times as large and also never completed. Auschwitz I was a base for political prisoners, the wealthy or smart who could possibly start a revolt, the homosexuals, gypsies and smaller groups of rebels. The German police (not SS) would also send normal criminals here to be executed as it was out of the city and no one would hear. If one would try to escape the double paneled double rows of electric barbed wire, 10 would be punished. They were kept in starvation cells until they died. 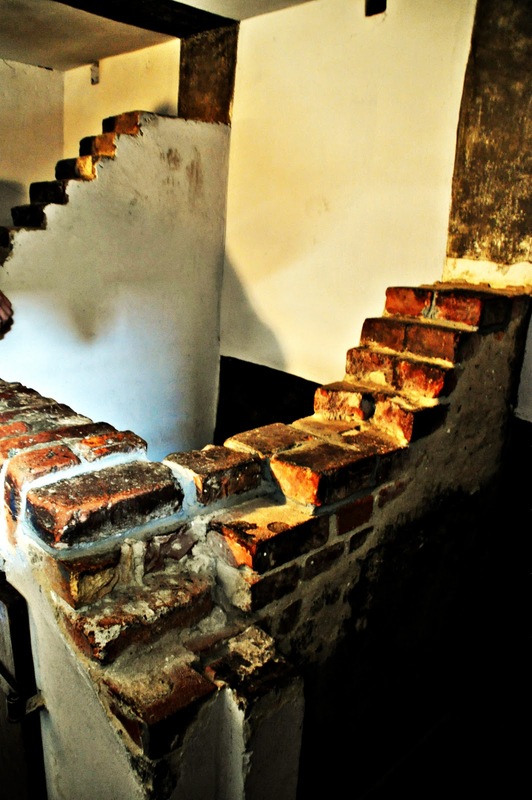 They also had standing cells which were about 2 ½ by 2 ½ feet cells where 4 prisoners were placed. There were 4 solid walls all the way to the ceiling and the only light was from the crawl in space they had at their feet. Most died from suffocation. 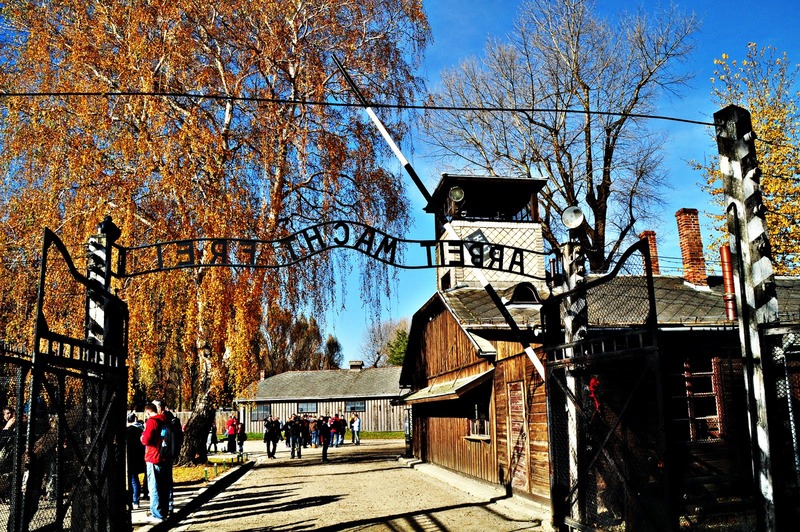 Auschwitz I has the infamous gate in which daily prisoners would walk through to and from work, it said: ARBEIT MACHT FREI, which means “work will set you free”. It was a sarcastic sense of humor that the SS soldiers used throughout the whole war. Each evening after a long day of work, the prisoners would be welcomed back to camp with an orchestra…how bad could life be. Rudolf Franz Ferdinand Hoss, the camps first commadant, lived in the corner of the complex in a beautiful villa with his wife and kids. Just outside their windows held the death of so many people. 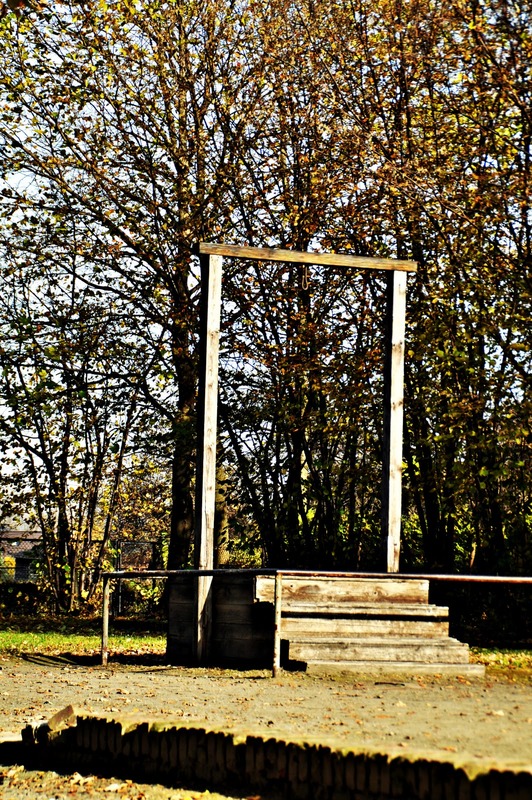 Later, the Polish government convicted him of his crimes and he was hung in basically his front yard. His wife went on record saying they lived such a wonderful life in Auschwitz. 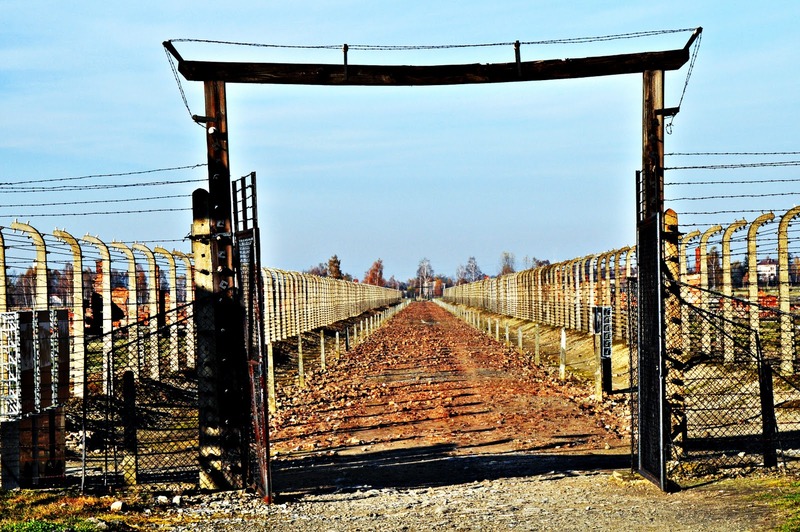 But then, Birkenau was built by the prisoners and here is where the massive amounts of horrible reality began. Birkenau was the largest concentration camp in all of WW2. Records and historians believe over 1,300,000 jews were murdered here, simply for being different. What you may not know, is that many were not Polish. The Polish jews were much easily exterminated in small gas chambers nearby to their ghettos in the city. 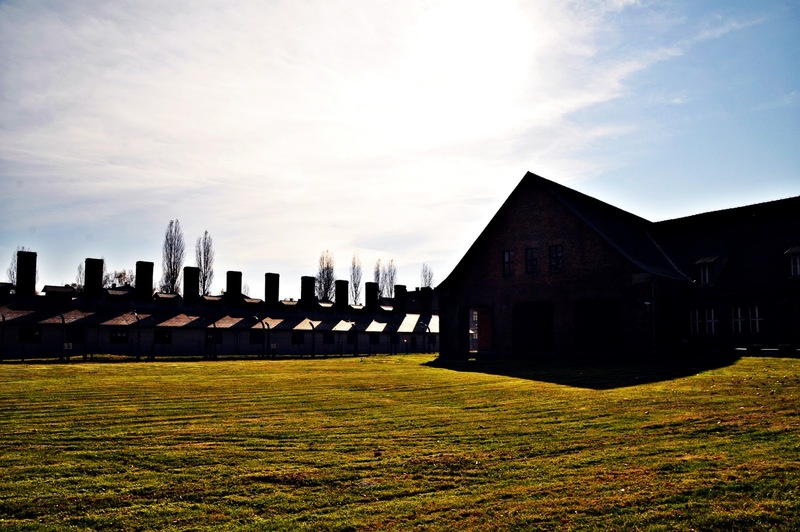 Because of Birkenau’s location, Jews from all over Europe were easily transported here. And in the summer of 44, after D-Day, prisoners were instructed to extend the train tracks directly through the gates of the camp and up to 500m from the gas chambers, and each day, more then 6,000 jews arrives, 75% put directly to their deaths within the first 2 hours they arrived. Movies I have seen portray madness and hysterical people knowing their death was near, but in contrast, historical photos show that the people had no idea. They were told they were leaving the Ghettos because there was work for them at the camps and nice living conditions compared to what they had and to pack. The Nazi’s had learned that it was better to deceive the Jews, calm was much more easy to work with then chaos. Then, when they arrived at the camp, they were told they had to shower to get ready for their new jobs so everyone went willingly. Mothers were never separated from their children to avoid panic. The manipulation is something I could never have imagined. The men were separated from women which is normal in shower situations. Then, they walked down stairs into a basement locker room complete with hangers and stall numbers for each person to remember. They then walked into another room complete with shower heads. SS officers would drop little blue crystals called Cyclone B into chambers from the roof. The pure body heat from the people inside would set off the chemical, which is used to kill lice, and within 20 minutes, they would all be dead. Certain prisoners then had the job of going through all of the bodies and taking all of their jewelry and shaving their hair, which was sold to a textile factory, then entwined with yarn and made into a type of burlap. More than 300 pounds of hair was sold. They then cremated the bodies in a separate room of the same building. These prisoners would then be killed so they could not tell what was going on. When the next group of prisoners arrived, the process would continue. The belongings of the arrivals were also sorted through in a place called “Canada” which was known as the land of the thriving at the time. Auschwitz had 6 buildings for this and Birkenau had 16. 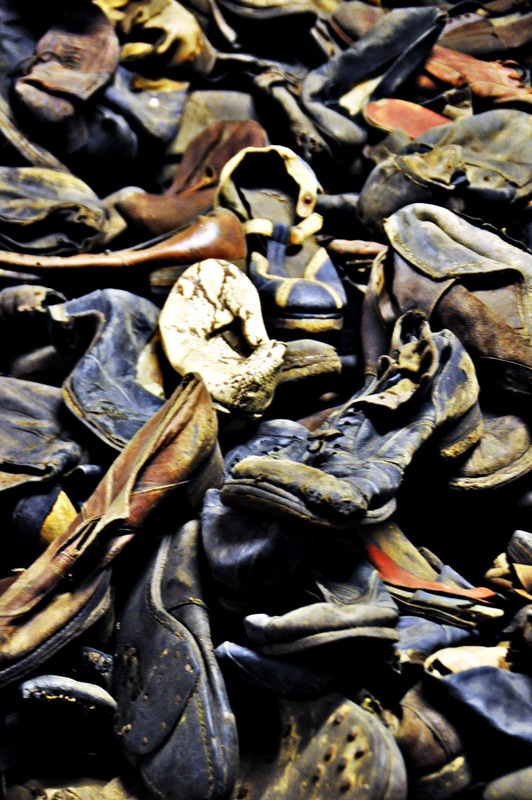 In these buildings, suitcases were sorted along with pots and pans, talit (jewish prayer shawls), eye glasses, face creams, shoes of children, hair brushes, tooth brushes…but what was most shocking to me, was the adults shoes. A very long hallway, on both sides had glass walls, which behind were tons and tons of men and women’s shoes. The number of people affected, as a visual, was something I will never forget. Some of these belongings were recycled and given to the soldiers or new shoes for the prisoners, some were given to the soldiers wives, but mostly they were sold or stored. Those who were healthy enough to stay, were shaved, bathed and clothed and sent to work…just as you know from your education. They had long work hours, sometimes slept 8 to a bed, could only use the bathroom 2 times a day and had a caloric intake of about 1500 calories a day. Most of them died if they did not have a way to get extra food, due to their exhaustion and starvation. There were prisoner drawn illustrations of the workers in the ditches, creating the buildings which we stood in. We were able to stand above the ditches where they worked. If you were a twin or triplet you were more likely to survive as there was famous, Dr.Mangala, who swore that Judaism could be discovered through measurements and genetics and was obsessed with this. He worked with the twins and therefore they were kept healthier than the rest. There were also other Dr.’s who did not treat their patients well, they were in search of a way to sterilize women and men so that the reproduction of jews could not continue. Most of these women and men did not survive. 32,000 prisoners were liberated from Auschwitz-Birkenau. Camp records show that 400,000 jews wer e killed. But, you see, people were only photographed and record kept through 1943. When the war took a turn and things started bearing down on the German soldiers, they became more of a pure killing machine. They only wanted extermination. So, all of the people sent straight to their deaths upon their arrival were never accounted for. Much of this you may know, some of it you may not. I don’t want this to come across cold as writing in bullets, but I feel like what we learned is something that must be shared. As all Holocaust memorials and lectures are spoken and shared, they are done so to spread the knowledge and make sure that the human race never forgets.